At Freedom Global we believe that education is the best way to break the cycle of poverty Research shows that children who go to school are healthier, more confident, and more likely to become employed. In Kenya, secondary education is not free. Only 50% of students who finish primary school go on to graduate high school. We seek to fill this gap by providing quality education to bright students from marginalized communities to equip students with the skills to dramatically alter the trajectory of their lives and those in their communities. Students in Kenya who attend high school are more likely to further their education, gain employment, and financially support the education of their family and community members. Uhuru Girls Academy exists to provide exceptional education for students of all backgrounds specifically providing opportunities for girls from vulnerable backgrounds. In spite of challenges such as poverty, tribal violence and displacement, abuse and poorly resourced primary schools, these students have made education a priority. 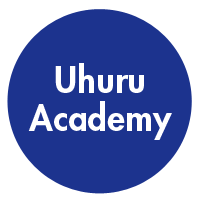 Uhuru Academy emphasizes the development of critical thinking skills in a personal and creative environment designed to cultivate the spiritual, social and intellectual development of each student. Learner-centered instruction focuses on improving student learning, critical-thinking, and success, rather than the transmission of information. The benefits of learner-centered education include increased motivation for learning and greater satisfaction with school; both of these outcomes lead to greater achievement. Uhuru Academy students compete in sports, learn to be creative and attentive to the world around them through art education, visit places like the National Museums and Meteorological Centers on field trips, and even learn how to navigate life’s challenges in GLOW Club. 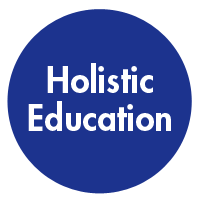 Uhuru Academy is designed to encourage and support lifelong learning, even for our educators. 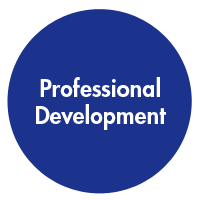 Our teachers undergo a professional development program that equips them with teaching tools and counseling techniques that engage and empower learners as they cultivate critical thinking and leadership skills in the classroom and their communities.